Hi there! I’m Emily, a 20-something-year-old marketeer. 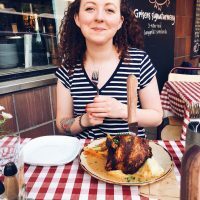 I basically started this blog because I’ve been fancying it for a while, and I’ve just finished some professional marketing qualifications, so I have lots more time. So in late 2017 I thought I’d take a plunge into the deep end and see what happened. If you want to keep up to date with me, you can follow me on Instagram and I’ll tell you about my new posts.